Prabhas and Anushka Shetty starrer Bahubali 2: The Conclusion has broken all the box-office records in India. Be it the first day collection, weekend collection or being the highest grossing film in India ever, it has gone way ahead than any Indian film ever made. Touching the mark of 217 crores on the opening day alone, 540 crores in 3 days and 1,652 crores till date, S.S. Rajamouli’s epic drama roared at the box-office and continues to do so. But why? 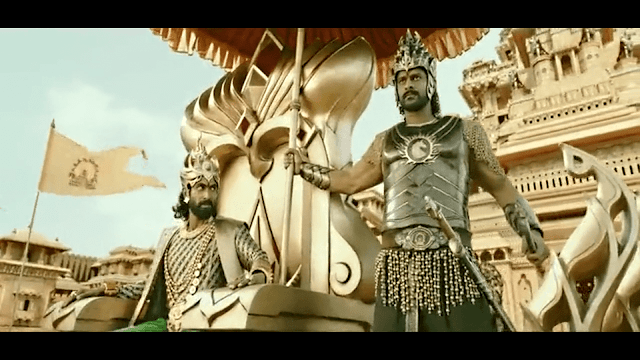 What is it in Bahubali 2 which has made it such a humongous money spinner? Katappa Ne Bahubali Ko Kyu Mara? Of course, the whole mystery behind this question alone made millions of cine-goers flock to the theaters on the first day itself. Online ticket booking app BookMyShow witnessed advance booking of tickets at the splendidly rapid rate. This question had been doing rounds on the internet, generating millions of tweets and memes online prior to the film’s release. The cliffhanger ending in Bahubali 1 alone was enough for millions of film buffs to be drawn towards the sequel on the first day itself. Hat's off to Bahubali's cinematographer K. K. Senthil Kumar for giving us a visual feast that is worth visiting numerous times. The techniques of storytelling lie beyond pages and reels, it's all about what finally goes on the celluloid. The exotic locations, sets, camera movements and superb lighting work, make us revisit this magnum opus time and again. Remember hundreds of bulls with ablaze horns flocking in queues, or the first look of Devasena's citadel Kunthal? An epic drama has an epic scale and transcends every boundary. S. S. Rajamouli crosses all the barriers of filmmaking with his vision. 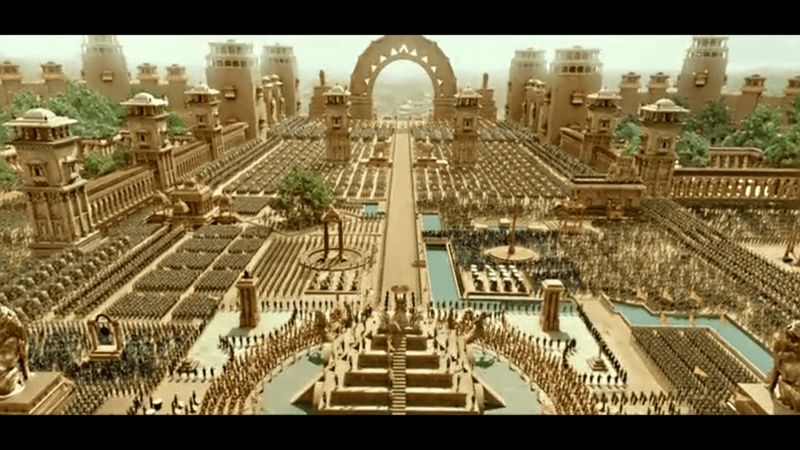 Be it the sets, grandeur of the Mahishmati Kingdom or the portrayal of emotions, all are insanely on another level. Remember the scene when Bahubali's identity is revealed at the Kunthal and he asks Devasena to come with him? What he does next is surely any girl’s dream from her man. A right warrior, a gentleman, who promises to protect her self-respect. Even in the Setupati killing scene, he leaves his Kingdom, his home and even his mother to protect Devasena’s pride. The opening song sequence with all those animated prosthetic or 'Veero Ke Veer Aa', the Mahishmati anthem- 'Mahishmati Samyaraj' or 'Kanha So Ja Jara', the music nails it and hits the bull’s eye to evoke the required emotions. We are left with goosebumps every time the veer rasa shows its power. In Bahubali 1, actors Prabhas (Amarendra and Mahendra Bahubali), Anushka Shetty (Devasena), Ramya Krishnan (Shivagami), Satyaraj (Katappa), Tamannaah (Avantika), Rana Daggubati (Bhallala Deva), had all proved themselves and pulled off their roles so amazingly that the audience were automatically drawn towards their acting. Their roles in Bahubali 2 awe you every time they come on the screen. Indian audience over the years has been fed with diverse stories in cinema. But that classic story of a righteous king dethroned from his position for doing no wrong due to clashes with his evil brother and the son avenging his father, always strikes the best to the pan-India audience. Elements of Indian tradition, folklore, mythological inspirations from the Mahabharata and the Ramayana are so evident in Bahubali 2, that every Indian can relate to them. Bahubali 2 even before its release had already minted 500 crores through promotions, franchise and brand value, marketing and satellite rights. Well, it had to. After all, it got the widest release any Indian film has ever seen on more than 9,000 screens worldwide. The release was marked by a direct dubbing of the film in four different languages in India alone- Tamil, Telugu, Hindi, and Malayalam. 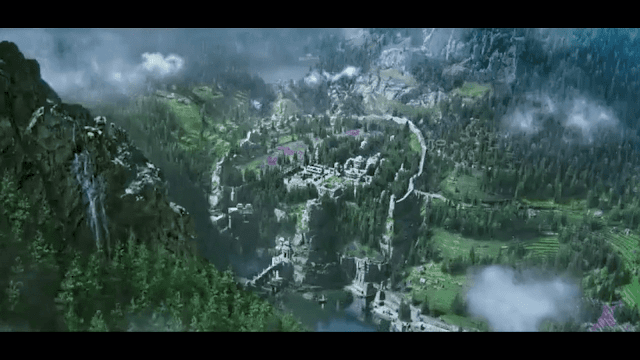 Rajamouli's clever move of releasing it in Hindi under Karan Johar's banner Dharma Productions helped the film reach out to millions of Hindi speaking Indians. 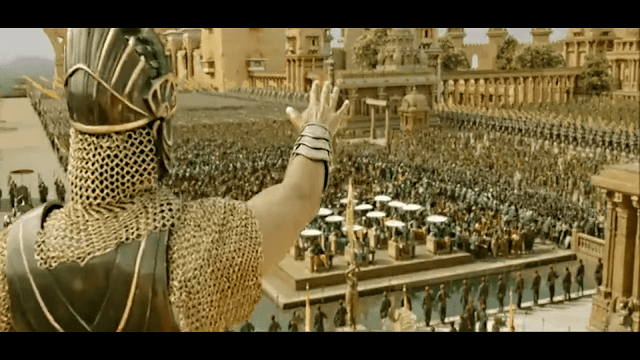 Every scene in Bahubali 2 perfectly heightens the drama that gives you chills, awe and would make you clap. Remember the coronation scene of Bhallala Deva? Perhaps such a portrayal of rajyabhishek has never been done before. The pool of soldiers, hundreds of elephants lined up, the grandeur of Mahishmati, and the intermittent chanting of 'Bahubali Jai Ho' coupled with the banging of spears and drums on the ground so much so that even the bricks and pillars of the famous kingdom start shaking! That's the power of Bahubali for you, silent and yet thunderous. Goosebumps!